These offers are free with the purchase of the BSA Champ Rocky Junior 16 (2016) Bicycle. The BSA Champ Rocky Junior 16 (2016) features a colorful low step through frame with an integrated carrier and 16" wheels. The Price of the BSA Champ Rocky Junior 16 (2016) is Rs.3960. 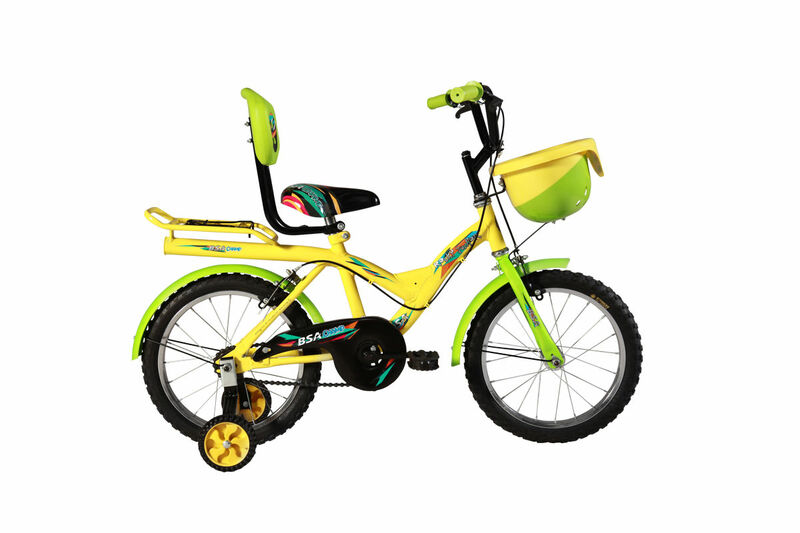 The BSA Champ Rocky 16 (2016) is an ideal beginner,learner bicycle for young children aged between 4 and 6 years. 2. In what condition will I get the BSA Champ Rocky Junior 16 (2016)? 6. How will I know if BSA Champ Rocky Junior 16 (2016) will fit me without riding it? 7. How long will it take for me to receive the BSA Champ Rocky Junior 16 (2016)?